The start of the month saw Wallerawang participating in the annual AMRA exhibition at Liverpool. No problems were encountered during the Friday night setup, or over the course of the three days. As is the practice after running at an exhibition, the group takes a well-earned break from meeting to recharge the modelling batteries. During this time the finishing touches were put on another pair of throttles, giving us spare capacity in case of any failure. Our main meeting in October turned into a planning session, determining which projects we would like to work on during the exhibition "off season" and before our next scheduled showing at the end of March 2012. The discussion centred around adding automated signalling to Wallerawang. We had already installed working coloured-light and semaphore signals to our previous show offering, Moss Vale, and it was decided to apply a very similar system to this layout. There are to be a few improvements - on Moss Vale separate boards were used for light-dependent resistors (LDRs) and detection, and the semaphores were operated by DC motors and home-made mechanisms, wired to separate motor driver circuits. For each signal (or pair of signals in a loop) both of these types of boards connected to a logic board. For Wallerawang, only one board will be used to detect directly from the LDRs, to light LEDs, and to control servos which will move the semaphore arms. To date, the program for the PICAXE microcontrollers has been written and functions as expected in the simulator. 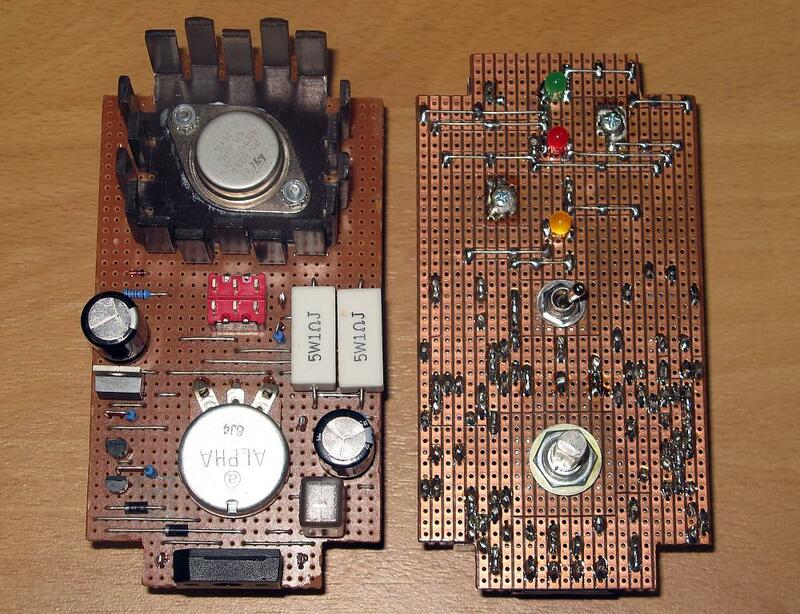 The circuit diagram and circuit board designs have been finalised and a pair of test boards are under construction. The microcontrollers, LDRs and servos have been ordered and are being delivered. A producer of signal kits and detailing pieces has been found and after further consultation, a variety of items will be ordered for testing purposes. Between Liverpool and the planning session more scenicking material arrived, so our last meeting saw Oingo Boingo stretchy wire being added to the power and telegraph poles. Also arriving were some nicely detailed shrubs, which were quickly glued to the embankments either side of the road bridge. Differing shades and lengths of static grass were part of the same order, so soon the static grass applicator will be pressed back into service.